"When Lorraine Moller was preparing for the 1992 Barcelona Olympic marathon, she was past the midpoint of a long and storied career, one that had seen her make her mark as a pioneer of women's running. 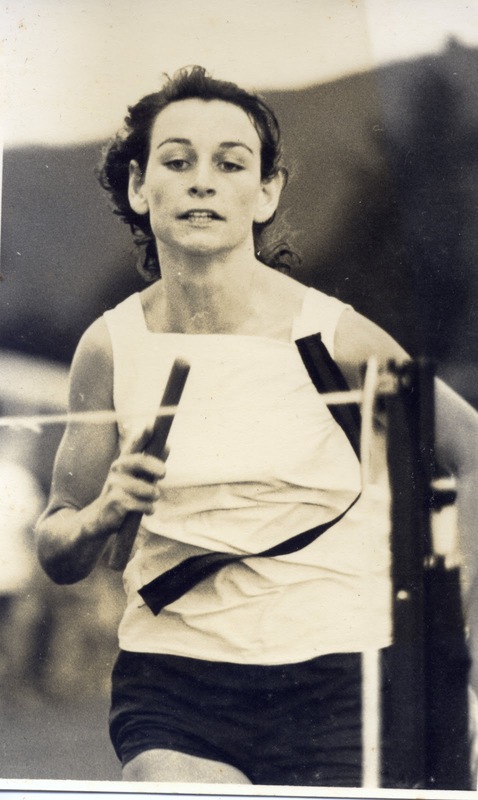 Starting as a little girl running barefoot on the grass tracks of Putaruru, New Zealand, she had competed in the Commonwealth Games at age 18; won the Boston Marathon and the Avon women's marathon; set world records on the road; and placed fifth in the inaugural women's Olympic marathon in 1984. As the 1992 Olympics approached, faster runners such as Australian Lisa Martin had seemingly passed her by." Incidentally, Lorraine is the second runner to be inducted, the first being Frank Shorter. She is in good company! We do have our favourites don't we? Lorraine is my favourite. Let me tell you an Olympic short story. Despite winning a bronze medal at the 1992 Barcelona Olympics, our first running medal in decades, Lorraine was not one of our favourites. Why do I say this? Immediately following her bronze medal win, Lorraine advised the NZ team officials in Barcelona that she wanted to return to New Zealand with the team to join in the celebrations - the victory parade down Queen street and so on - to celebrate with her team mates, her New Zealand supporters and her family. She was so excited to be coming home victorious after 20 years trying. Her request was declined. It was a huge let down. I think it really hurt her. It cut deep. Because her training base had been the United States, they were not prepared to cover the extra cost of bringing her back to New Zealand with the rest of the team (I recall Air NZ was one of the team's sponsors. Surely they would have helped out if the cost of the airfare was such a big deal). Having lost her sponsors (Mizuno) before the Olympics due to their considering her too old to be a medal prospect (As did many of the NZ Olympics officials of the time, I might add), Lorraine was as good as broke. She had no option other than to return to the States where her wonderful performance appears to have attracted at least as much interest as it has in her home country. Like her, I was extremely disappointed that she was unable to return with the New Zealand team. I felt angry and rather depressed upon learning of the mean-spirited way my sister had been treated. But lets finish on a positive note: Isn't it wonderful how the citizens of Boulder have adopted my little sister all the way from a tiny timber town in New Zealand (Putaruru)? And now they have honoured Lorraine by inducting her into the Boulder Hall of Fame? Good on them!